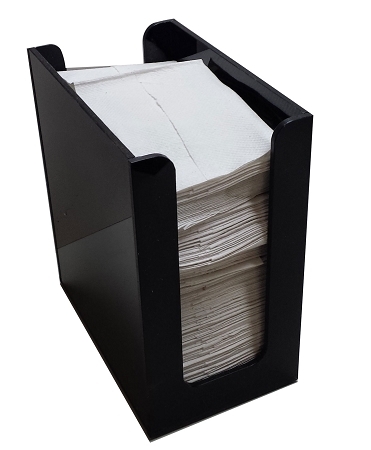 Our easy access napkin holder holds tall fold dispenser napkins. It is accessible from the back or front. Total unit dimensions: 4” deep x 7” wide x 8” tall. This napkin holder is made of extremely durable 3/16 acrylic.